There has been a lot of talk recently in the WordPress world about the new Gutenberg editor which will potentially be released with WordPress version 5. When WordPress was first created it was a simple blogging platform allowing users to easily create and posts blog articles to the web. Over time it has evolved to a full fledged content management system. One of the main frustrations clients have with content management systems (CMS) is that the content creation / editing process is very abstracted or removed from what it looks like on the live website. This makes it hard for them to visualise what they are creating and editing and how it will look on the website. In addition to this it was very difficult to create any kind of advanced layouts like columns without resorting to editing HTML code or using tricky “shortcodes”. As a result the rise of additional plugins called Page Builders or Visual Composers has transformed the content creation and editing experience within WordPress with most commercial themes now using one of many plugin solutions. The team at WordPress are constantly looking to evolve and improve the platform and realised that there is a need for a WordPress native visual editor solution so the Gutenberg project was created. Their goal was to make adding rich content to WordPress simple and enjoyable. Gutenberg is a new editor for WordPress content. 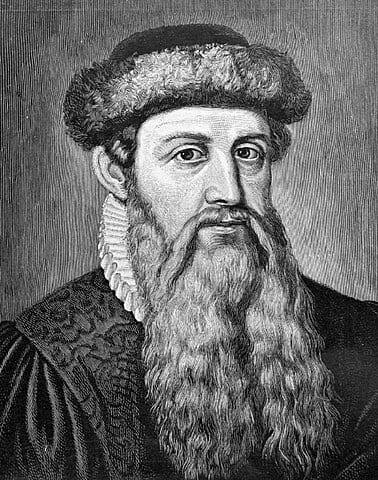 It is names after Johannes Gutenberg. Johannes was the inventor of a printing press with movable type over 500 years ago! The editor works on the concept of “blocks” that can be dragged onto the page to create content sections and structure. Right now the functionality is only available as a plugin but the plan is to merge it to the core platform some time this year. Currently the available functionality is fairly limited but is heading in the right direction, hopefully it will provide the same level of functionality available in the current modern page builders providing an integrated way to create visually compelling layouts and content.